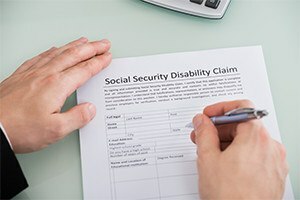 Nearly 90 percent of initial claims for Social Security Disability (SSD) benefits are denied. If your SSD claim was denied, your case is not over. You have the right to request reconsideration. You may even seek an administrative hearing should your claim be denied again. However, you only have a set time period to seek an appeal. At the law firm of Pulgini & Norton, LLP, we provide efficient, knowledgeable representation for people seeking to appeal denied SSD claims. For more than 40 years, we have represented clients throughout the Greater Boston area and Massachusetts. We use our in-depth understand of the technical and procedural aspects of the SSD appeals process to help clients present the best possible case. If your claim has been denied, contact us to discuss your situation in more detail with one of our lawyers. Schedule a free consultation by calling us toll free at 781-843-2200. Once your initial application is denied, you only have 60 days to file a Request for Reconsideration. If you do not file a written request in this time, you lose your right to appeal and must begin the initial application process all over again. Our experienced attorneys take a proactive approach to helping clients gather the necessary documentation and additional paperwork. We also understand the technical systems involved in online filing and keep our clients informed of the status of their case. If your claim is denied reconsideration, you have the opportunity to request a hearing before an administrative law judge. This is your opportunity to present your case before a judge and panel of medical or vocational experts. Our lawyers take time to prepare you for the hearing by asking you questions that the judge and panel members are likely to ask and gathering additional evidence to build your case. Regardless of your circumstances, an experienced lawyer can do many things to protect your rights and interest while guiding a case through the SSD appeals process. You can also rest assured that one of our qualified lawyers — not a paralegal or inexperienced associate — will handle all aspects of your case from start to finish. If your SSD claim was denied, contact us to get started on appealing your denied SSD claim. Schedule a consultation with one of our Massachusetts attorneys by calling our Downtown Boston, Hyde Park or Braintree office locations toll free at 781-843-2200.